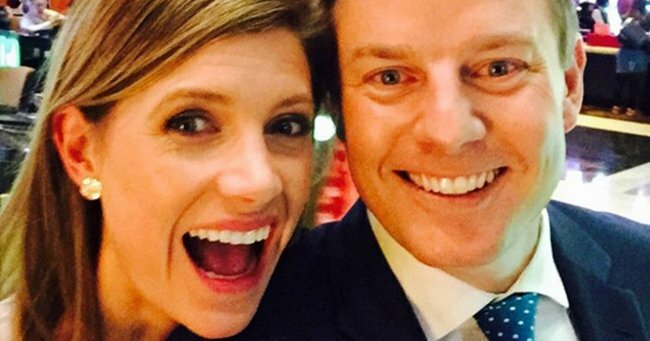 There's a "new kid on the block" for Ben Fordham and Jodie Speers. Ben Fordham, 40, and his wife Jodie Speers have announced they’re expecting their second child, by way of a cute snap of their first son Freddy. Fordham and Channel Seven reporter Speers married in 2011 and welcomed little Freddy in 2014. According to Fordham, Freddy’s not entirely sure about the impending arrival. “Breaking the news to old mate that there’s about to be a new kid on the block,” he captioned the same picture on Instagram. The Channel Nine star revealed last year that he has suffered from epilepsy since he was a child and is working to destigmatise the often misunderstood disease in Australia. He suffered his first seizure at the age of seven. “When I was a kid it scared the life out of me,” he said. “The first time it happened to me, I didn’t know what was going on. I felt seriously afraid of the world. I didn’t recognise my own brother or sister. "I was there but I wasn’t there. I used to describe it like hearing voices but it was more an overwhelming sense of looming catastrophe – something really bad was about to happen when in fact it wasn’t." Congrats Fordham and Speers families!